Collagena detoxifying facemask contains a base of hydrogel with added marine collagen, hyaluronic acid and other widely known active detoxifying ingredients. All the elements combined within the nourishing cosmetic serum are quickly absorbed to purify your skin, tighten your pores and brighten your complexion. Whether your skin is oily or combination, you will find in the DermaDétox© facemask the purifying and relaxing skincare that will deliver instant, natural and sustainable skincare results. A significant reduction in pore size, in sebum levels and redness immediately noted after the first application. A cleaned, less greasy and less shiny skin. Clinical tests and studies conducted under dermatological supervision by an independent laboratory. Corneometry: 12 volunteers - Efficacy test: 20 volunteers over a 28 day period. Calendula is a medicinal plant that has been prized since Antiquity. Today, it is used in cosmetics, especially for baby care products, thanks to its anti-inflammatory and skin soothing properties. Calendula effectively heals skin, promoting the regeneration of damaged cutaneous tissue. It also acts as a softening and soothing agent that leaves skin softer and more elastic. Tea tree, not to be confused with the tea plant, is native to Australia. Its name comes from navigator James Cook who made a refreshing drink by infusing tea tree leaves. The Australian Aborigines have traditionally used oil extracted from the tea tree to cure many different conditions. The tea tree's incredible antiseptic and antibacterial properties were scientifically discovered by Australian chemist Penfold in 1922. A number of scientific and medical research projects have since been conducted, confirming the qualities that make the tea tree a leading wide-spectrum anti-bacterial agent. They explain why this ingredient is increasingly used in cosmetic skincare formulations, particularly for combination, oily and acne-prone skin. Golden Chamomile represents an important source of flavonoids and saponins, active molecules with widely recognized anti-inflammatory and antioxidant properties. By targeting microcirculation, this active ingredient reduces redness. Golden Chamomile is a choice active ingredient for soothing sensitive and reactive skin. Sebustop© is a phyto-astringent active ingredient specially designed for oily skin. It consists of plant fractions extracted from burnet, ginger and cinnamon. Given its high content in tannins, essential oils and saponins, Sebustop© is the ideal treatment for reducing excess sebum production in the short term, cleansing and tightening pores as well as purifying the skin and boosting its radiance. Thanks to its detoxifying formula and its nourishing serum, DermaDétox© facemask can be used alone, occasionally or as an intensive treatment. 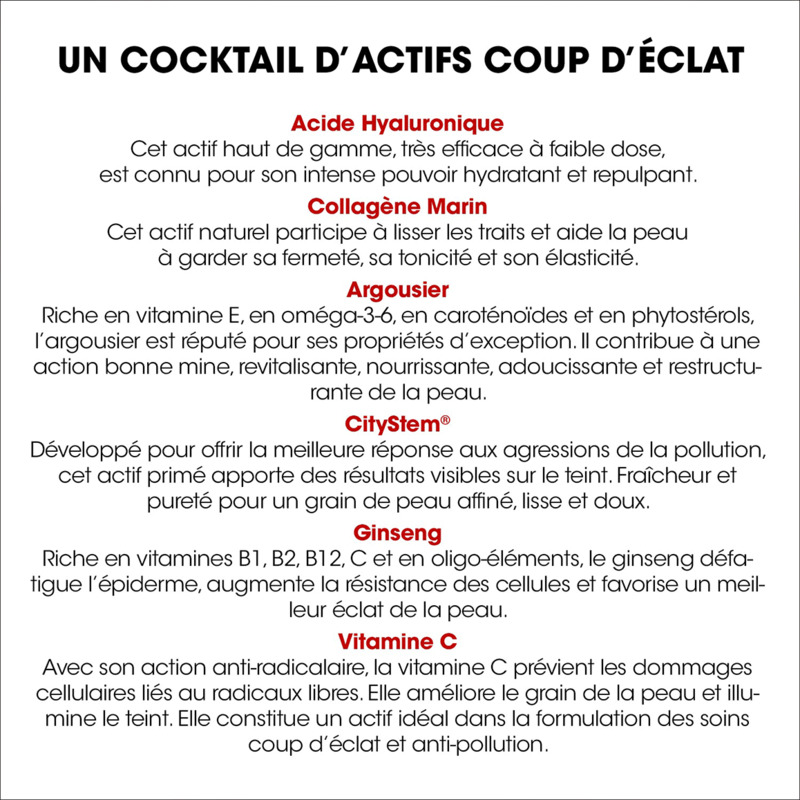 For natural and lasting results, apply DermaDétox© facemask up to two times a week. You may also adapt the frequency of use, based on your skin's level of sensitivity. After thoroughly cleansing skin, open the DermaDétox© facemask pack and place the facemask over your face. Carefully apply the facemask, making sure that it perfectly envelops the entire face and leave on for 20 to 25 minutes. Remove the facemask and dry off face with a paper tissue, if needed. Skin is cleansed, appears less oily and shine-free.